If DriveSecurity is running, it scans files in real-time. You should be able to see DriveSecurity icon in the Windows notification area. 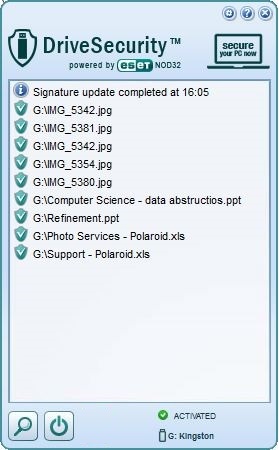 Clicking this icon, you should see files that have been scanned during this session since the last scan. In addition, the window should read ‘ACTIVATED’ in the lower right corner and the particular drive being protected below that. You can also verify its function by clicking Scan (lower left). 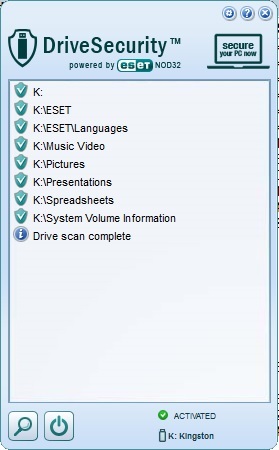 You should see Drive scan complete listed at the end of the scan.